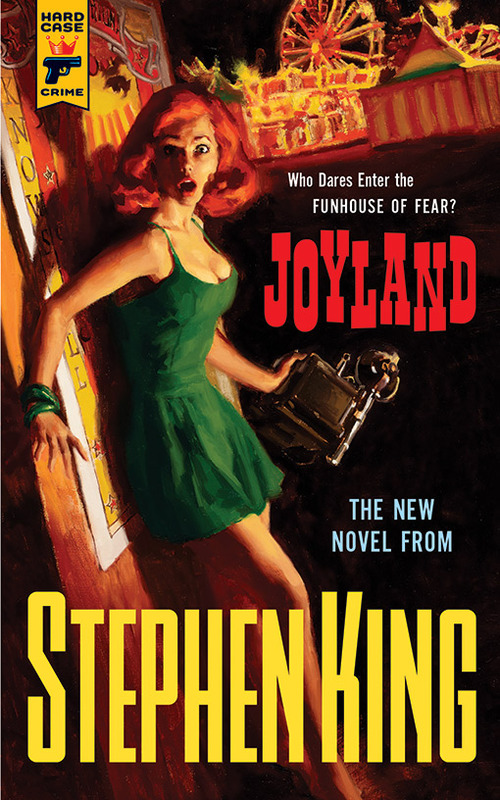 Tomorrow Stephen King’s newest novel, Joyland , hits the shelves already a pre-release #1 Bestseller. Come back to borg.com Friday, June 7, 2013, for information on how to win copies of an exclusive edition of Joyland or canvas cover prints of the novel’s artwork from Titan Books, publisher of the Hard Case Crime imprint, as part of the Stephen King-Joyland online book tour. As a fan of many Stephen King movies and TV series based on his books, strangely enough I never made it through a Stephen King novel before now. Because King’s adapted visual works have been so consistent, I found the easy-going storytelling in Joyland to be very familiar. 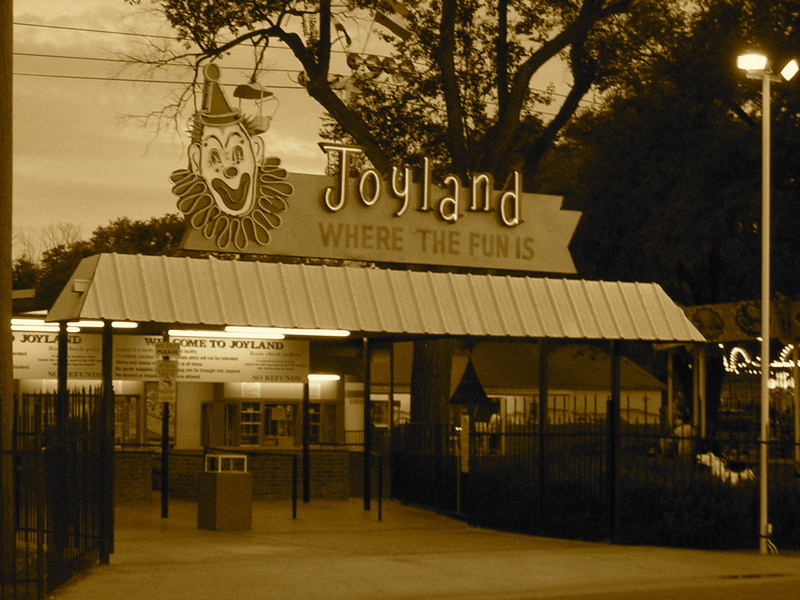 Joyland contains themes found in the innocence of Stand By Me (based on King’s novella The Body) and Silver Bullet (based on King’s novella Cycle of the Werewolf), the supernatural of The Green Mile (based on King’s serial novel of the same name), and the Northeast U.S. town-life found in the TV series Haven (based on King’s The Colorado Kid) and The Dead Zone (based on King’s novel). King’s storytelling is very recognizable–you’d know his style anywhere. And Joyland is not horror, but a blend of true crime-type drama mixed with King’s signature violent/explicit/graphic accounts of not just the crime that is the focus of the story but the life of the protagonist. Yet it is also a coming of age story for the 20s set–written in a manner similar to classic middle grade and young adult works, like S.E. Hinton’s The Outsiders and Tex, and even some of Judy Blume’s works. Chasing the Dead is a 2007 supernatural thriller novel by Joe Schreiber. Schreiber has written several genre novels including Star Wars: Red Harvest, Star Wars: Death Troopers, Star Wars: Darth Scabrous, and Supernatural: The Unholy Cause, as well as No Doors No Windows, Eat the Dark, Perry’s Killer Playlist, and Au Revoir Crazy European Chick. 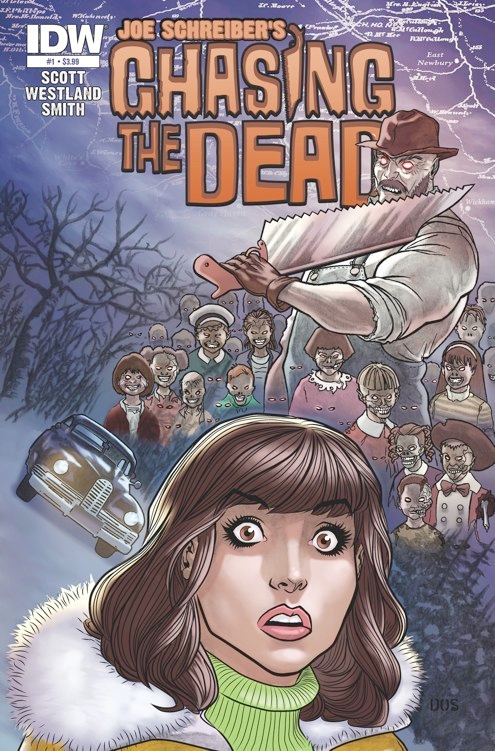 IDW Publishing writers Matthew Scott and Tim Westland have begun to adapt Schreiber’s Chasing the Dead into a monthly comic book series. Chasing the Dead takes readers for a very intense ride. We meet Susan Young, now separated from the man she married who was a childhood friend. They both shared a secret, and now their secret has impossibly returned and their daughter is now thrust into what reads like a suspenseful horror movie plot. A 13-year-old boy and 12-year-old girl are playing at a park in a town that has a rash of child murders. A strange car slowly pulls up and instead of another abduction the little boy grabs a knife and strikes back at the attacker, killing him, but not before noticing something unworldly about the killer. Tomorrow Issue #3 is being released and we’re previewing the first seven pages below. Want to get caught up? 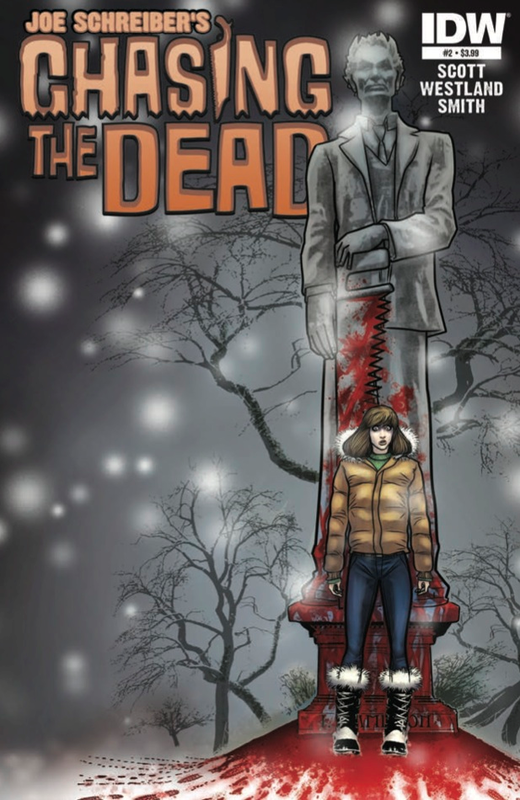 Keep reading for an overview of Issues #1 and #2, and why you might want to check out this series.